Ability to schedule when your programs run. 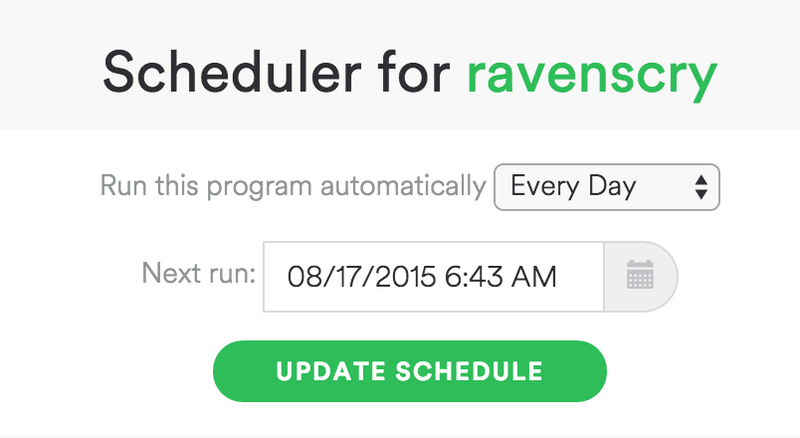 – You’ll be able to schedule your programs to run at a pre-determined time and period. Under the hood, there are huge changes – programs are no longer saved in the browser, but instead are saved on the server. The authentication model has been upgraded to use the 3-factor version. This will allow me to run programs on the server side and have them update your playlists on your behalf. An essential capability for scheduling. All these changes mean that your Smarter Playlists V1 programs will no longer work with Smarter Playlists V2. You’ll have to re-create them in V2. 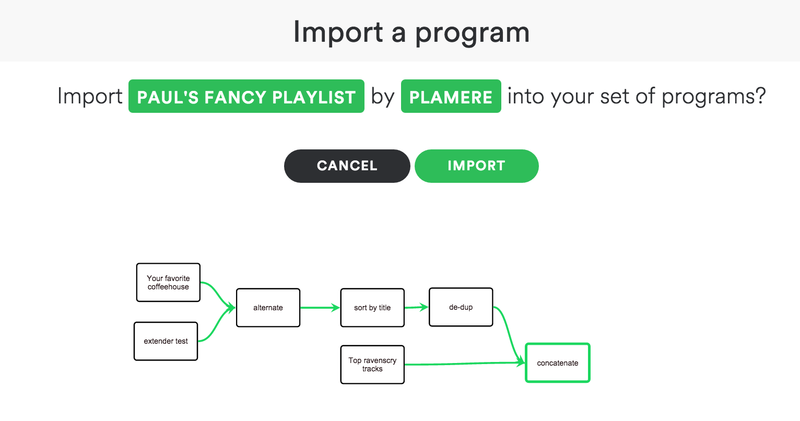 I’ve received lots of feedback from folks using Smarter Playlists V1 – and will work to incorporate all the suggested features, improvements and bug fixes too. Thanks, all, and keep the feedback coming. Look for the alpha v2 release within the next week or so. This entry was posted on August 17, 2015, 6:56 am and is filed under Music. You can follow any responses to this entry through RSS 2.0. Both comments and pings are currently closed. Will v2 have a way to, say, exclude “explicit” songs so I can finally create a kid-friendly version of a playlist? good idea, I’ll add such a filter. I would love a “Record Label” source. To me they are often more relevant than genres and are a fantastic way for artist discovery.